Tim Ferriss, the no. 1 New York Times bestselling author of The 4-Hour Work Week: Escape 9-5, Work Anywhere, and Join the New Rich, gave a name to the general evolution of behavior that is taking place in America’s corporate world. In his book, he discusses the advantages of shifting both your mindset and behavior from the traditional “macro” retirement to more frequent “mini-retirements” throughout one’s career. Most of you reading this blog are probably familiar with his book and his financial planning ideas. However, for those of you who are not, Tim discusses the historic behavior of corporate Americans, in short, as involving tireless work throughout one’s career, saving all one can, and spending it post-retirement around age 60. This behavior and general thought process was the foundation on which our parents and grandparents planned their finances. Once they’d retired and received their watch for 25 years of service, they kicked their feet up and finally spent their hard-earned money on boats, cars, and trips that they had been dreaming about for decades. But times have changed, and fortunately for those of us who are still grinding away, general thought processes and behaviors have changed substantially too. The current workforce has shifted its objectives to those that are more closely aligned to the idea of mini-retirements i.e. spending your money NOW and ticking off bucket list items before you are too old to climb Macchu Picchu or go skydiving. Although wants, needs and how we spend our money have all changed, the shift in financial planning to achieve this has been slower to evolve, and we have unfortunately found ourselves in a situation where credit has become more dangerous than ever before and the cause of many economic problems in the US (as we are all well aware!). 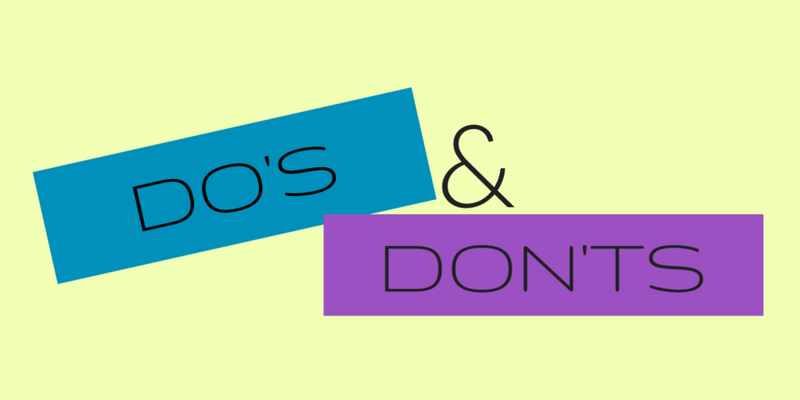 With this in mind, we at Zoe Financial have come up with a list of dos and don’ts that will help you to achieve both your goals – to enjoy your money now and to be financially secure when you too decide to kick up your feet and hang up your suits. Before you go about designing a financial plan, you need to be clear on what you are planning for. Make a list of all the things that you currently spend your money on and all of those that you would like to spend your money on. Once you have a clear objective it will be much easier to outline the steps to get you there. As much as you are entitled to enjoy your hard earned cash on holidays and designer threads, you need to be realistic about what you want versus what you need. Make sure that your financial plan is balanced in this regard. Prioritize your wants and needs according to the order in which you value them, this will help you to adequately allocate resources to each. Credit can be both a blessing and a curse. Make sure you make conscious credit decisions that can give you the hand you need without taking the whole arm as well. As sure as the sun will rise in the east and set in the west, life will throw you a few curve balls. Be financially ready for them! Make sure you have an emergency fund for life’s unexpected expenses. As mentioned before, the way our parents and grandparents lived and saved is no longer our only option. Make sure you plan to have money to spend now, on the things you enjoy or need, but don’t totally ignore the end. When a monthly salary suddenly stops it can really affect the way you have to live. You don’t want this! Make sure you have enough of a nest egg to continue living the way you want to, long after you leave the boardroom. Once you have decided on a plan, don’t forget about it until you are 6 months from retirement. This may sound ridiculous but time flies and lots of people spend their last year of employment worrying about how their “perfect plan” has failed them. Revisit your plan annually. Consider both changes to the world economy as well as changes to your personal goals and objectives. Do your best to make sure that your plan is always aligned with YOUR money goals, which will change as much as you will throughout your life. As a successful professional, one can fall into the trap of attempting to do it all yourself. Just as you wouldn’t diagnose your dog’s medical condition without consulting a vet, you shouldn’t plan your finances without professional advice. And even if you are a financial professional, it is impossible to be objective when it comes to your own life and your own financial plan. Hire someone that can guide you and advise you without letting emotion or ambition get in the way. 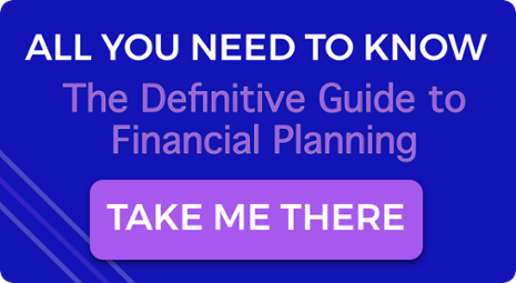 Financial planning is not an easy task but knowing what your current situation is, is the first step to being in total control of your financial life going forward. And that is what Zoe Financial is all about: making sure that our clients have the ability to see their financial big picture, all of the time. And that can ultimately ensure that you make your working years count and live the life that you desire! Because financial planning should pay off now, not only in ten years time. If you enjoyed this post, check out Learning To Think Differently About Money.